We help customers mark important moments with high quality personalized plaques, medals, crystal awards, promotional goods and more. Each item is created with the help of our in-house design team and delivered on time, every time. As a family-owned and operated recognition company, we encourage and empower people to celebrate others. Our awards are personal, so they are prominently treasured on desks and shared on social media–not the circular file. At Trophy Awards, we serve our customers as we want to be served: with a dedicated customer service advocate, consistent on-time delivery, and guidance selecting the words and the design appropriate for each occasion. Proof approvals are required only on new orders, or any order totaling over $250. Still have questions? Click on the button below for more details about our process and typical turnaround time. You only get one chance to properly celebrate a person–in the moment, at the event, during the ceremony. No pressure, right? Here’s the thing: Recognition is personal. Sure, a generic award checks off a box on your to-do list, but what if a trophy or plaque or medal–this tool–actually has a message on it that inspires the recipient? And what if by achieving that, you are recognized as insightful and on top of your game? Have your message remembered, build better relationships and influence those in your care with the right award at the right time. Then you’ll enjoy the look of joy on someone’s face, the team clutching shiny medals, the crystal award showcased on a coffee table as a reminder of being seen and pursuing excellence. These moments are the reason we strive for excellence, bring our best to work, and get a ridiculous amount of joy out of working at Trophy Awards. Our awards are hand-selected and customized with the highest design standards. Proactive communication and on-time delivery ensure you can rest easy before the big moment. Our Customer Care Team are dedicated professionals who are ready to walk you through your entire order. "Trophy Awards is our go-to vendor for many things, including custom awards, apparel and all promotion items. I have worked with them for years and have never been disappointed. They deliver on tight deadlines with precession work. The onsite design team is creative and always captures the custom look we are looking for. Their customer service team is second to none. Trophy Awards staff and products make us more successful in what we do." "Hundreds of schools order thousands of International Thespian Society awards every spring through the custom online store Trophy Awards built for us. The service level is outstanding. The quality of the products is tremendous. We couldn't be more pleased. That's why we've worked with them for more than 15 years, and will continue to do so." "I have been working w/ Trophy Awards for probably 4 years or so ordering name plates, plaques, and trophies for our company. 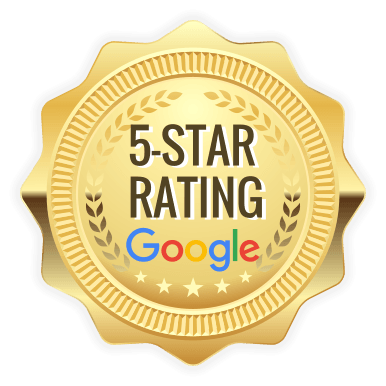 What I appreciate most is their customer service - they actually live up to the high standards we all deserve for service: PERSONAL touch, QUICK replies, and EASY to work with. I am a big fan :)"